Applicants, we are aware of the issue in our application with question #5 about employment verification. When you submit your application, it will we labeled “Incomplete”. Since we are aware of the issue, this “incomplete” label will not affect your application submission pending satisfactory completion of all other PTA Program admission requirements. All submitted applications, including incomplete ones, are time stamped so your application will be accounted for. If we have additional questions about your application, we will contact you after the application window has closed. The PTA Program accepts only online applications using the link below. Paper applications are not available. Completed Observation Verification Forms should be scanned as a PDF file. Students should have separate forms for each different facility in which they completed observation experiences. Scan each Observation Verification form separately. For example, if you completed observation experiences in three different facilities, you should have three different scanned pdf files to upload during the application process. Documents submitted in any other file type (DOC, JPG, TXT, etc) will not be accepted for meeting the observation hours criteria. February 1-15 of each year (the application will be available at 9 a.m. on February 1). Linkage applications are open ONLY for prospective candidates from schools with Linkage agreements with Polk State College applying through the Linkage Program (currently, the colleges with Linkage agreements with the PTA program are Hillsborough Community College and Pasco Hernando Community College). 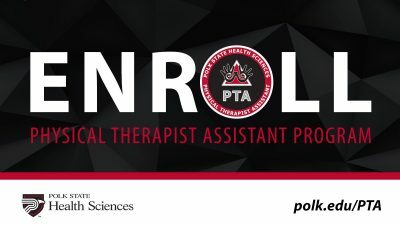 PLEASE NOTE: Linkage transmittal forms for any student interested in the Physical Therapist Assistant Program must be received by the Linkage Administrator at Polk State College by 5 pm on January 15 of the intended year of admission. Prospective Linkage students should contact an academic advisor at their respective colleges for more information and specific instructions. The open application is available for all students applying to the PTA Program. 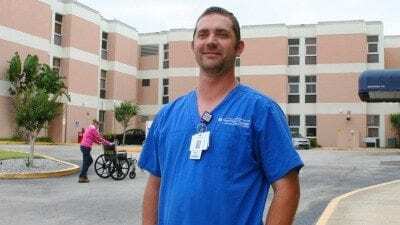 No application for admission to the Physical Therapist Assistant program will be considered unless all necessary Polk State College admission documentation (application to Polk State College, high school transcripts, college transcripts if applicable, residency paperwork, etc.) has been processed by the Registrar’s Office. Please note: This process will take 3-6 weeks. Upon submitting the online application, students will receive a confirmation email indicating submission of their application. Submitted applications and supporting documentation will be reviewed to ensure applicants meet the admission criteria. The applicant will then receive further communication regarding the status of their application from the program via email once the PTA Program Admissions Committee completes the selection process. Be advised that submitting an application does not guarantee admission to the Physical Therapist Assistant Program. Students interested in applying to the Polk State College PTA program in March are encouraged to click here to pre-register in Higher Reach prior to the program application opening on March 1, 2019. Apply to the Physical Therapist Assistant Program Please note: This link will be activated during the application period as noted above. The PTA Program accepts 24 students each year to begin the Program in the Fall. Two seats are allocated to Linkage students (1 each from Hillsborough Community College and Pasco Hernando Community College. In the event there are no Linkage applicants, these seats will be re-allocated for candidates in the open application period). The remaining 22 seats are allocated for candidates in the open application period. Fifteen additional applicants will be selected as alternates. Applicants that meet all admission requirements will be included in the selection process. Selection of candidates and alternates will be based on first come, first qualified procedure. Candidates for admission and alternates, as well as those not selected, will be notified of their status by email within two weeks of the Admission Committee meeting.